Home Freelancing Freelancing And Outsourcing: Ways To Go. Blair is a grad student who has student loans to pay back. She has 2 other jobs on the side, as a freelancer who writes all sorts of documents for people at a price and as a part-time social media manager for a company too. When asked how she manages to do these jobs and still go to school, she says she loves what she does and doesn’t mind. Cool, right? 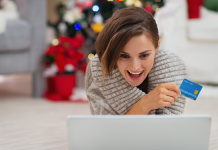 That is the beauty of freelancing and being a freelancer, you can offer multiple services to multiple clients at a time, and get paid either instantly, weekly or even monthly. As a freelancer, you get to create your services, add price tags to them, work and get paid. Easy, right? Here is idea of Freelancing And Outsourcing. This is fun and cool as it means that a freelancer is a kind of independent contractor who offers his or her services to a defined target market, gets clients and gets paid within a target period. While some may think that freelancer is simply what it implies, that is, offering your services for free or almost free, this is not true as freelancers earn money, possibly even more than those who hold 9am- 5pm jobs. Freelancing is a field that is gradually becoming more popular and is growing more and more as it gives people the ease to work in the comfort of their homes. Freelancing has financially empowered those who find it difficult to get or sustain full time jobs. It is the same with outsourcing. Both fields grant anyone with the opportunity to work for several companies, organizations, small-scale businesses and even individuals, within a target market during a specific period. The beauty about freelancing is that you get to earn but without the 9am-5pm job requirements. What Is Freelancing For Earning? Freelancing for earning entails working on a contract basis for several companies, as opposed to working as an employee of a single company, to gain financial remuneration. Businessdictionary.com also explains that freelancers are often considered to be self-employed, and have the freedom to choose whose project they want to work with or the company they want to work for. Is Freelancing Profitable As A Field? Freelancing is very profitable as it provides everyone the opportunity to earn from the comfort of their homes, while working several jobs at once. From graphic design artists, website designers to illustrators, designers, business professionals, among others, freelancing as a field has created a niche for those who are interested in it, have skills and services to provide and can deal with multiple clients at a time. As a freelancer, myself, whose focus is on writing, I can say that freelancing provides you with a lot of flexibility in terms of the jobs you want to do, how much you want to earn, and how well you can satisfy your clients. The jobs you take can be on a fulltime or part-time basis; you get to choose which one suits you best. There are always deadlines to keep and to ensure the trust and loyalty of your clients, these deadlines must be adhered to. However, some clients may give you a lot of time to complete jobs for them but like I earlier said, it is better you do what they need on time as it gains you their respect, loyalty, and trust. Being a freelancer is affordable and easy to start, although it might take a while to build up your client base. 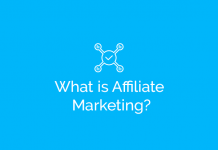 However, if you have a skill or service to render, and you position yourself on the right social network and freelancing site(s), you will definitely get clients. Networking with and through your family, friends and colleagues can help you build up your client base or find your first client. Freelance jobs may range from a day to weeks, months and even years, depending on the kind of contract you decide on and depending on the kind of job a company or individual wants you to do for them. What Are The Top 10 Freelancing Sites I Can Work With? As A Freelancer? Upwork: This site offers a job for everyone; hourly or per- project, entry level, short and long term as well as expert levels jobs are available for every. With a 1.5 million and more customers and freelancers base, Upwork will surely have something you can work with. 01. Freelancer: Freelancer allows freelancers on its platform to compete in contests that showcase their skills. It also offers projects numbering millions. 02. Peopleperhour: This is the perfect freelancing site for anyone who specializes in web design, graphics design, UX designer, among other technology and web based jobs. 03. Toptal: Toptal is best suited for experienced and skilled freelancers. Passing their tests and means that you get unlimited access to cool clients with even cooler projects and sufficient wages in return. 04. College Recruiter: This site is suitable for college students and recent graduates who want part-time freelance jobs with flexibility. This site gets you cool connections that can help move your career forward. 06. Craigslist: Craiglist is not just a platform for purchases, it is also a platform that allows you to browse through diverse offerings, see a freelance job you like and voila! 07. 99designs: This is a site suitable for freelance designers. Designers compete in contests and clients get to choose the very best ones. The competition is a cool way for designers to show their stuff. 08. Guru: This freelancing site has a Guru Work Room that helps you to manage your work, and showcases your work experience with a daily job-matching feature to make sure you don’t miss out on any opportunities. 09. 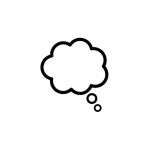 Freelance Writing Gigs: As long as you have a way with words, Freelance Writing Gigsis a suitable option for freelance writers. 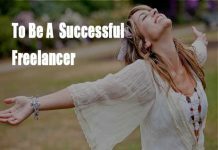 How Do I Become A Successful Freelancer? Outsourcing too also has become quite popular and useful for companies who want to reduce costs by transferring portions of work to be done to outside suppliers, rather than completing it internally. (Investopedia). These outside suppliers could include freelancers who specialize in offering outsourcing services or other companies who do the same. The advantage of outsourcing is that it helps to save costs and has proven to be more affordable for companies when it comes to production and manufacturing. This can be seen in companies who outsource some tasks, such as human resources management tasks which involve paying wages or salaries, employing new workers or even creating and managing the health insurances of workers. It helps to save time, money and human energy when external experts are hired to do such tasks. Some companies also outsource their accounting, especially small scale businesses that do not have an in-house accountant to keep their books. Investopedia also states that outsourcing can be applied to non-core aspects of business because it can streamline performance, output, and input, while also improving efficiency and productivity. This also increases the competitive edge of the company, since outsourcing means smaller tasks are completed on time. Reduction in labor costs is another key advantage of outsourcing. While employing more people to do tasks, unemployment rates are reduced, even if the percentages might not seem significant, outsourcing has given many people the opportunity to earn from home. Per research, companies save about 15% of costs overhead when they outsource tasks to external bodies or freelancers. 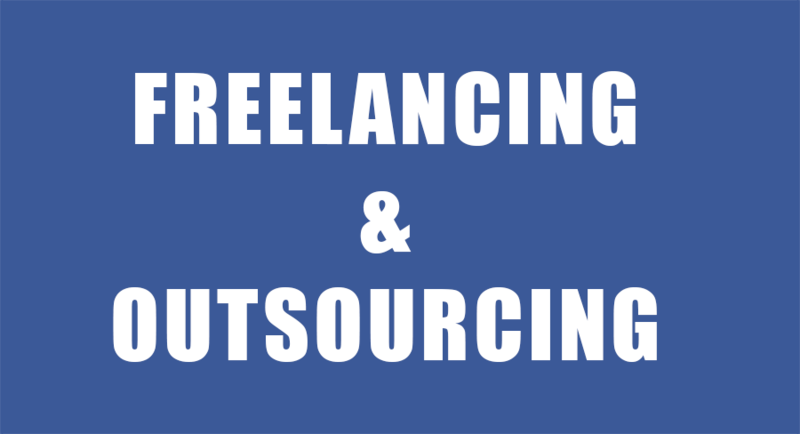 How Competitive Are Freelancing And Outsourcing? Freelancing and outsourcing are fields that are becoming competitive with more services being required and offered more. However, these fields require quality freelancers and external employees. They are not meant for a specific group of people but can be done by anyone if you have the skills and services, and even time and energy to invest in them. So if you want to be a freelancer or someone that companies outsource, you know where to get started. Next articleHow to Record a Video on your Mac. To become a successful freelancer you should always be able to satisfy the client’s needs. You cannot perfectly satisfy all clients but at least provide solutions to their needs. Freelancing requires a lot of commitment and self motivation as well.